While following our surfing activity on the web, we discover that interesting book cover for Hans Fallada's Little Man, What Now? Alana Bottaro, according to the details available on the site, is from Newcastle, Australia. 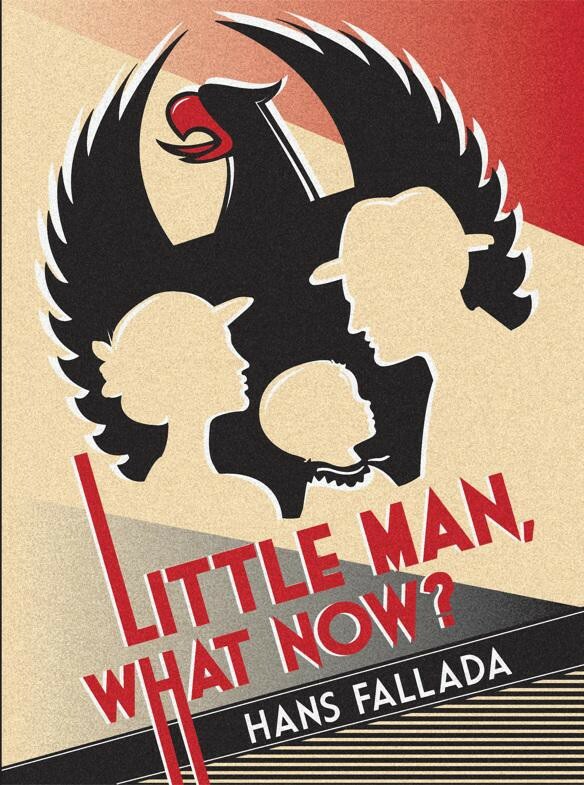 Other details explain the ideas and concept that leads to this cover : "To create a complete paperback book cover for Hans Fallada's 'Little Man, What Now?'. It needed to reflect the tone and time of the novel. The novel was set in the late 1930s Germany, therefore, I took on the design style of the time using Bauhaus colours and block design elements in conjunction with icons of the time, such as the eagle." We unfortunately don't know if that cover has actually been used by Penguin or not. It should deserve it as that cover is probably one of the best done so far.